Flat feet is a problem that ranges from mildly annoying to terribly painful. Innjea Park, DPM, helps with flat feet in several ways, starting with conservative treatments like physical therapy and prescribed exercises. Other treatments can include custom orthotics, special braces, anti-inflammatory topical gels, and even surgery if needed. Dr. Park is an expert podiatrist who works in the Murray Hill, Midtown East, Financial District, and Staten Island, New York areas. He’s ready to deliver the treatment you need for flat feet when you need it. Book online or call the office for help today. Flat feet is a common problem in which the arches of your feet flatten. It can happen in just one foot but usually affects both feet. If you have flat feet, the whole sole of your foot is on the floor when you're standing. Flat feet can be painless in some patients, while others can have severe pain. How does flat feet start? Often, flat feet starts at a very young age. Children who have "flexible flatfoot" actually have a visible arch when they stand on their tiptoes, but when standing flat on their feet, there's no arch at all. If you have flexible flatfoot as a child, there's a chance that you'll grow out of it. However, many kids who never developed an arch won't have one as an adult, either. In other cases, you do have clearly defined foot arches, but you lose them as an adult. The most common cause of flat feet as an adult is soft tissue damage (the nerves, tendons, and other soft tissues) in your feet. Obesity can put extra pressure on the feet, and sometimes this results in flat feet. What is the treatment for flat feet? Your flat feet treatment depends on your symptoms. 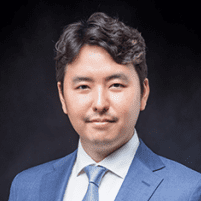 Dr. Park will check of posterior tibial tendon dysfunction (PTTD) and other associated painful conditions via use of appropriate clinical and diagnostic tests. Dr. Park can prescribe a special brace to counteract instability caused by flat feet. Physical therapy, which includes custom exercises at home, can improve tightness in your calf muscle, and strengthen and relieve pain related to your posterior tibial tendon. Custom orthotics are made based on your foot impression. As a supportive device, they help achieve better alignment in your foot joints, and help to relieve pain and instability associated with flat foot. Anti-inflammatory gels, when applied topically to your feet, can relieve pain. Therapeutic ultrasounds at the Grand Central location are a great tool for reducing inflammation within your joints, and can be very helpful in flat feet treatment. If none of the noninvasive treatments help, Dr. Park might recommend surgery. Flat feet surgery focuses on repairing the root cause of the issue. For example, Dr. Park may surgically repair a torn tendon if that's the cause of your flat feet. Feeling defeated over your flat feet? Book online or call the office of Dr. Park now for help.